Candies, hearts, chocolates, flowers and stuffed animals galore. That can only mean one thing, Valentine’s Day is upon us once again. That glorious day where people show their significant other how much they care. For most this day is about love, for people like me it’s about the after day sale where candy will be 50% off. Truth be told before everyone I have ever loved was taken away from me I use to enjoy this holiday. Spending the night before Valentine’s Day reminiscing on past holidays spent with my Mom and Pappy sounded like a good idea. I’m watching a movie that because of my Moms death will always be close to my heart. It’s called “If I Stay” and I remember when I first saw the previews for the movie I thought it was the biggest waste of time. Who knew a year later I would be going through a similar traumatic experience and this movie would help me with the grieving. I don’t want to spoil the movie, but if you have read the book or seen the movie you’ll understand where I’m coming from. I find this particular movie to be a perfect choice to watch as a Valentine’s Day movie. It expresses the one emotion this day is all about and it shows how much this emotion can truly impact someone’s life. I strongly urge you to see this movie or read the book, you won’t be disappointed. Now, I don’t want to write about anything sad, but I must say for the past 27 years my Mom made sure to make Valentines Day great. Whether it was taking me out to one of my favorite places, watching one of my favorite movies/shows or just buying a basket filled with gifts galore. I always loved receiving gifts on this day from her because I knew they came straight from the heart, just like any other gift she presented me. However, this year is different, this year I won’t be receiving a basket, watching a movie or going to one of my favorite destinations. No, sadly I’ll be looking back on all the past Valentine’s Days I had and remember how truly special each one of them were. I may not have ever had a significant other to share this day with, but I always had my Mom right by my side to show me that this day wasn’t just for being in a relationship. 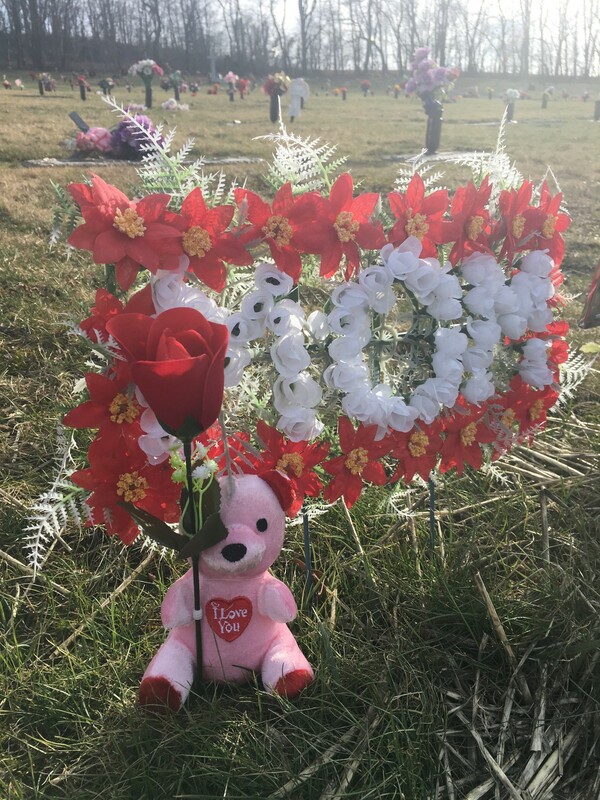 This day, Valentine’s Day was for anyone and everyone that has ever loved someone. My heart has belonged to two people, one half belonged to my Mom and the other my Grandpa. Sadly both of them were taken from this world too soon. Maybe someday I’ll be able to find someone to share this day with again, but I’m not in any hurry for that to happen. I’m not opposed to love, but with someone who has lost everyone they have ever truly loved, then what is the point? 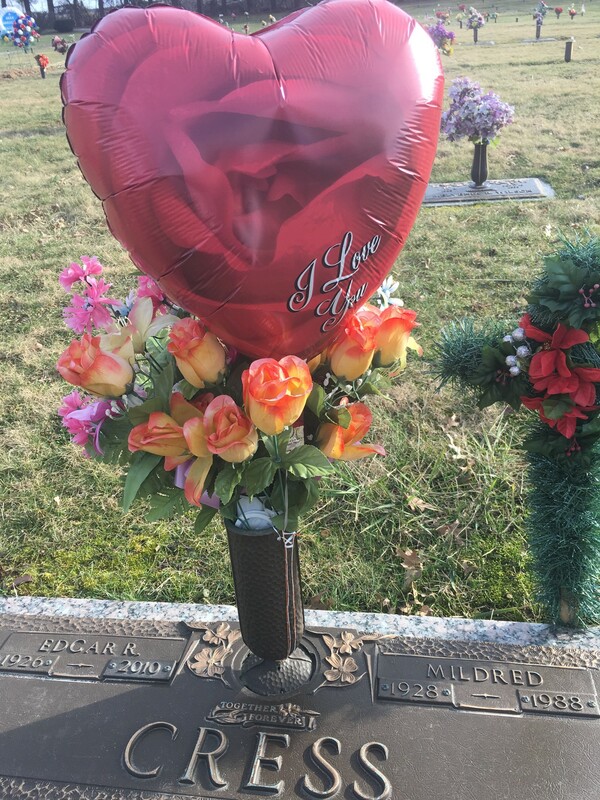 On this day, Valentine’s Day I want to dedicate this day to my Mom, Grandpa, Grandma, my cat Tom and all the loved ones in Heaven we will all see again someday. This may not be my favorite holiday, I still believe everyday should be celebrated like Valentine’s Day. However, after 27 years of gifts and love, on the 28th year I want to give back and show my loved ones how much I truly care and how their love molded me into the person I am today. Thank you Mommy and Pappy, your love is the greatest gift I have or will ever receive.